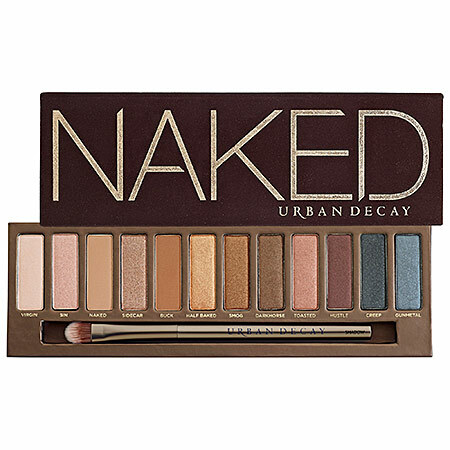 When the Urban Decay Naked palette first came out, it became known for versatility. We’re not talking the kind of versatility where one makeup look is enviable while the other is just “eh.” We’re saying that no matter what you put on your face, how you combine eyeshadows or which colors you choose, the Naked palette will make you look amazing. If we’re being honest, all of the Naked palettes look great on everyone, but now that there are three options, we’re able to find which particular palette is more customized for us. There may be a ton of hype surrounding these cult beauty favorites (and with good reason), but there’s actual reasoning behind which palette will work best for you. Based on your skin’s undertones, which kind of brush you prefer and whether you tend to go for matte finishes versus shimmer shadows, there’s a Naked palette that will suit your needs. 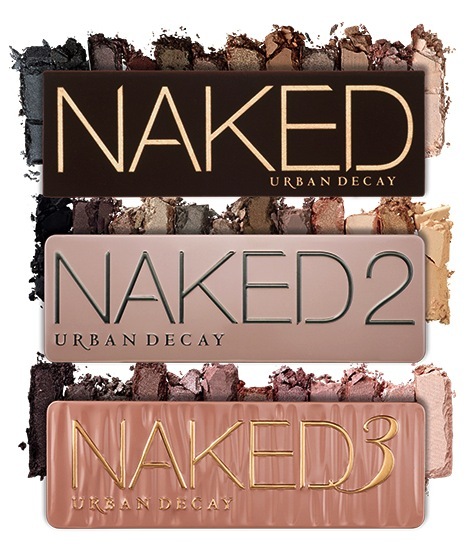 Read on below to find out which Naked is for you! Equipped with a single-sided brush and a mini bottle of eyeshadow primer, the original Naked palette is stocked with bronze-hued warm tones. This palette has more shimmer finishes than its newer counterparts, so if you’re someone who really loves her eyes to sparkle, consider this palette. With bronze hues, girls with warm skin tones tend to look best with these eyeshadows. A step up from its predecessor, the Naked 2 palette comes with a double-sided brush (ideal for creating both smoked out shadow looks and for using the eyeshadow as a liner), but instead of a primer, this palette is sold with a mini lip gloss to complete your face. Eyeshadows in this collection are taupe-hued and work best on cool skin tones. For those of you who prefer matte finish shadows to shimmer, the Naked 2 comes stocked with smooth, velvety eyeshadow options for a sophisticated glamour. Like a perfect marriage of the first and the second, the Naked 3 palette comes with the better double sided brush and primer. That’s what we call the best of both worlds. Shadows in the Naked 3 are rose-hued, ranging from pale pearl colors to pinks and purples all the way to dark browns and black. While the palette has a few more shimmer shadows than matte finishes, it’s got enough of each to satisfy your needs, whatever those may be. The best part about the Naked 3 is that it’s not exclusively better for warm or cool skin tones, so it works well on everyone.